Tasnim – Chief of Staff of the Iranian Armed Forces slammed a recent bill the US Senate has passed to impose new sanctions on Iran as a breach of the Joint Comprehensive Plan of Action (JCPOA), a nuclear deal between Iran and world powers, and an indication of the enemy’s unchanging nature. Commenting on the US Senate’s anti-Iran bill, Major General Mohammad Hossein Baqeri said on Saturday that such embargoes are nothing new to the Iranian Armed Forces. “These sanctions indicate that the enemy repeats its evil conducts,” the senior general added, stressing that those “daydreaming about” a change in the nature of the adversary are mistaken. He then underlined that the Senate’s bill amounts to a violation of both the spirit and the text of the nuclear agreement between Iran and the Group 5+1 (Russia, China, the US, Britain, France and Germany). 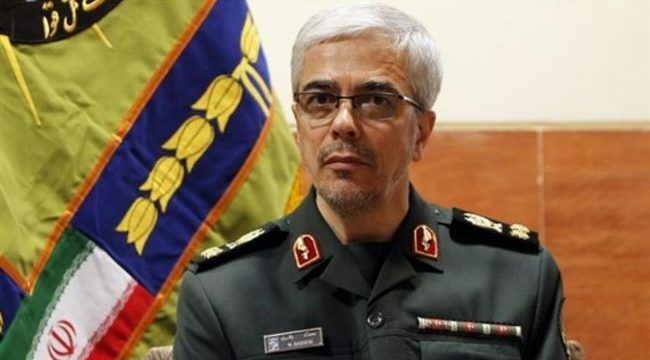 Major General Baqeri also dismissed any concern about new sanctions against Iran, saying that “reliance on ourselves” will boost the country’s capabilities and preparedness. Last week, the US Senate passed a bill that would step up sanctions against Iran over its ballistic missile program and alleged support for terrorism. Iranian officials have pledged to take reciprocal measures in retaliation to the bill.